Monica Robins is the Senior Health Correspondent at WKYC in Cleveland, Ohio, specializing in areas of health and medicine news. Monica Robins is an Emmy award winning reporter well known as one of Northeast Ohio's most reliable and trusted sources for health news. As Senior Health Correspondent, she has earned the respect of the region's medical establishments, including The Academy of Medicine of Cleveland and Northern Ohio for fair, accurate and unbiased reporting. Monica has the ability to take even the most complicated medical procedure and make it understandable to viewers. Her stories are often broadcast nationally at other NBC and Tegna stations, and her more than 25 Cleveland Clinic "Medical Miracle" specials have also aired in the Middle East and Turkey. Her dedication to providing quality health information to Northeast Ohio earned her several prestigious awards including the Community Service Award from Fairview, Lakewood, Lutheran Hospitals and the Community West Foundation, the Bronze Key award from Recovery Resources, the media award from the ADAMHS Board of Cuyahoga County for her in-depth coverage of the heroin epidemic in Northeast Ohio. Monica's work has garnered several Excellence in Journalism awards. She is a five time Emmy award recipient and several first place awards from the Ohio Press Club and Associated Press. She's also been inducted in the Ohio Broadcasters Hall of Fame. Monica was honored as the first media recipient of the Susan G. Komen for the Cure "Power of a Partner" Award. She's also received several media awards from various medical organizations, including the Ohio Pharmacists Association, the Academy of Medicine of Cleveland and Northern Ohio, Diabetes Partnership of Cleveland, Western Reserve Area Agency on Aging and several others as well as congressional commendations from Senator Sherrod Brown and Representative Betty Sutton. After graduating from West Virginia University with a degree in Broadcast Journalism, Monica began her television career at WDTV in Clarksburg, W. Va. While there, she honed her reporting and anchoring skills as well as being a videographer, producer, editor and production assistant. She then moved to WOWK-TV in Charleston/Huntington, W. Va. where she became the main 6 and 11 p.m. anchor as well as delving into Investigative Reporting. 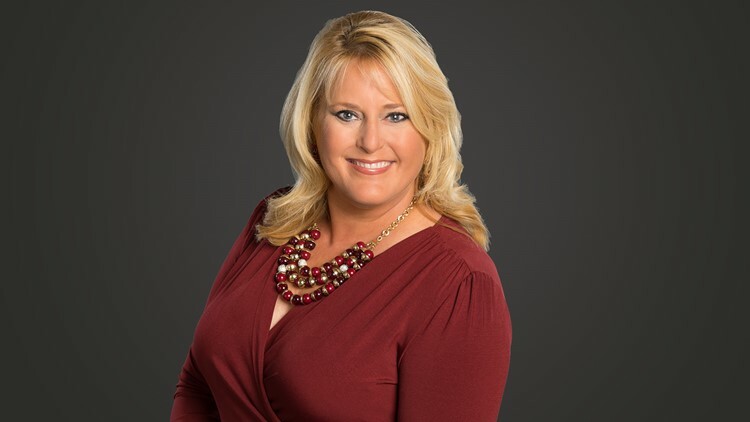 She was a primary Investigative Reporter at WCMH-TV in Columbus, Ohio, before becoming the NBC Midwest Correspondent for the News Channel affiliate service. During that time she traveled the country covering national news for America's NBC stations -- including President Clinton's Lewinsky scandal and subsequent impeachment proceedings, and the devastating Ohio River flooding. Monica has been active with several community organizations, including the FBI Cleveland Citizens Academy Alumni Association, Komen for the Cure, the Diabetes Partnership of Greater Cleveland, Prayers From Maria Foundation for pediatric brain tumor research, Kids in Flight, Rally for the Troops, Firefighter's Memorial Ride, COPS Memorial Ride and the Gathering Place. She was instrumental in planning and executing WKYC's first annual Health Expo that served 15,000 people, and was the driving force for the City of Cleveland's Affordable Care for a Healthy Cleveland education event that served thousands of Cuyahoga County residents who needed information about healthcare coverage. She served on former Cleveland Mayor Jane Campbell's think tank for "Steps to a Healthier Cleveland," and assisted in securing funding for "Aligning Forces for Quality." A Robert Woods Johnson Foundation initiative aimed at helping chronically ill patients achieve quality care. She is a sought after public speaker and often talks about the need to be one's own health advocate. Monica is a native of Pittsburgh, Pa., and enjoys weight lifting, running, scuba diving and riding her Harley-Davidson motorcycle. She's also the lead singer for two rock bands including, Monica Robins and the Whiskey Kings and the Ninja Cowboys. Learn more at www.monicarobins.com. She has opened for well-known national acts such as The Temptations, Fabulous Thunderbirds, Donnie Iris and the Cruisers, Southside Johnny and the Asbury Jukes, Hall and Oates and Eddie Money. She has performed the National Anthem several times for the Cleveland Browns, Cleveland Indians, Cleveland Barons, Lake Erie Monsters, Cleveland Force, Akron Aeros and many local law enforcement, fire and military agencies. Whenever she can find spare time, Monica and her Great Pyrenees, Griffin, are certified by Therapy Dogs International and volunteer bringing emotional support to patients in local nursing homes. Contact Monica Robins at mrobins@wkyc.com and follow her on Facebook, Twitter and Instagram.